Discover which cases made it to the top! With access to over 200,000 verdicts and settlements gathered on this platform, the jury at VerdictSearch has been ranking the top 100 verdicts for over 20 years, using both knowledge and data, for an unbiased ranking. 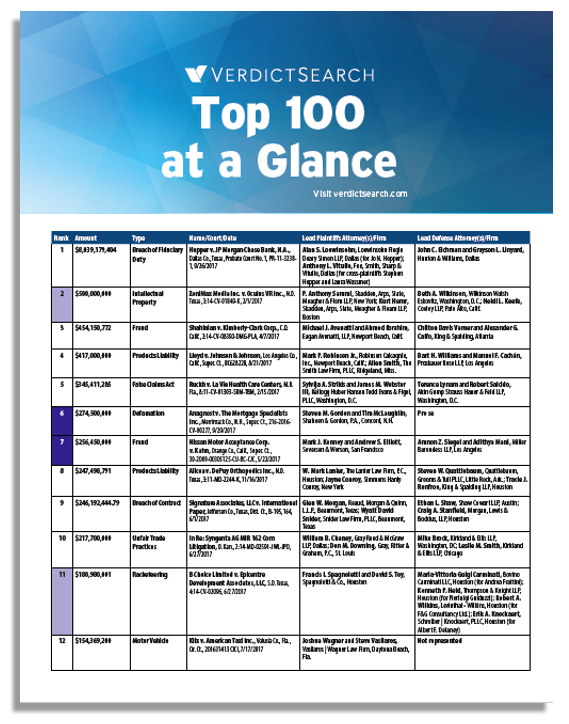 Fill in the form on your right and get access to the full data of Top100 verdicts for 2017!